You can have a long length, wide width laminate plank floor that looks as authentic as the real thing! Longwood by Mannington Laminate is 6.72 feet long and 7.87 inches wide. These longer and wider dimensions are very popular, but also give a timeless look. Perfect for great rooms, Longwood is a laminate that looks like reclaimed wood. The Diamond Finish gives greater clarity and depth of color to these plank floors. Longwood uses an mFold installation which allows your laminate to be locked into place. Your floors will go down quickly and remain secure. You won't need to use glue or adhesives to install any of Mannington Laminate's flooring products. An mFold locking installation contributes to the healthier aspect of these laminate floors. There will be no chemical emission from an adhesive with this installation process! Longwood comes in two looks - Aberdeen looks like weathered wood and Brazilia looks like an exotic Brazilian Cherry (one of the most popular exotic species!). Laminate flooring offers many options in character, modern, or traditional floors. 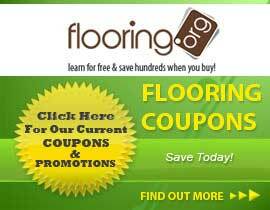 With Mannington and Flooring.org you can get a reasonable price on all floors without sacrificing quality or style. Shop here today to buy a Longwood laminate floor!